Although humanity has had the sufficient mathematical knowledge for over 2000 years, mechanical science had to wait until 17th century to finally develop. Before Galileo was born (1564) nobody had ever consider using numbers, weight and measurement to build an accurate piece of science. The birth of the XVII th century science’s was founded on the Platon’s view of a world based on mathematical structures. La création de la nouvelle science du XVIIème fut fondée sur l’idée platonique du monde basé sur des structures mathématiques. 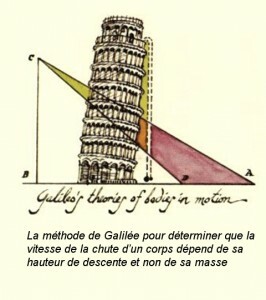 Without Archimedes, there wouldn’t have been Galileo or Descartes, and without statics there wouldn’t have been dynamics. “Classical“ mechanics based on materials science developed since 17th century is studying systems through the concepts of statics and dynamics. 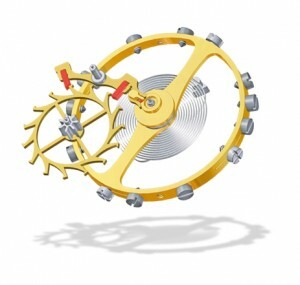 Horology is definitely part of the « classical » mechanics appeared at the beginning of the 17th century. Creating instruments was a necessity to experiment and evaluate scientific principles (concept) and their practical applications. “Classical” is used to avoid confusion with recent sciences such as relativity or quantum mechanics born during the 20th century. For over the last three centuries, mechanical watches have been using balance-spring as regulating organ. 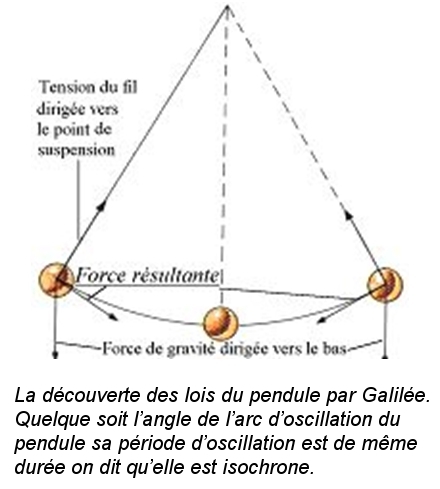 End of 17th century, after abbot of Hautefeuille attempted several times to link a balance to a linear spring in order to get, a natural frequency, Christian Huyguens, in 1675 improves the principle introducing the spiral spring associated to a balance wheel. This oscillator shows a great advantage being, as the pendulum, isochronous. Many escapements and balance-spring have been tested over the centuries. New materials and new manufacturing process made improvements possible in term of accuracy, miniaturization and frequency. Technical researches lead to better compensation for external disturbances such as temperature, gravity force, and accelerations. However there hasn’t been any conceptual change regarding the regulating organ, the balance-spring sustained by a lever has remained the only option. Today’s wristwatches are facing strong constraints that did not exist while they were still in the pocket like untidy and vivid position changes. Physical laws are rather simple on this: in order to reduce the impact of those disturbances, it is needed to reduce weight as much as possible and increase frequency. With De Bethune first self-compensating silicone balance-spring and its 72’000 vph silicone escapement, demonstrated in Baselworld 2006, it became obvious that a balance-spring with lever escapement would hardly exceed such a limit (10 Hz 72’000 vph), mainly for reliability and mechanical resistance to the wear over time. De Bethune took up the challenge to revolutionize timekeepers’ mechanism introducing an audio frequency watch with a magnetic escapement. Magnetic escapement is not a new concept since it appeared in 1927, some watchmakers have been exploring this field like Frank Clifford. In clocks, the use of a vibrating cantilever beam as a regulating organ is not new either. The first use appeared in 1866 invented by Louis-François Breguet (1804-1883) and came back about a century later with the tuning forks electrical watches. Studies related to synchronization between a tuning fork and a balance-spring date from the 80’s. 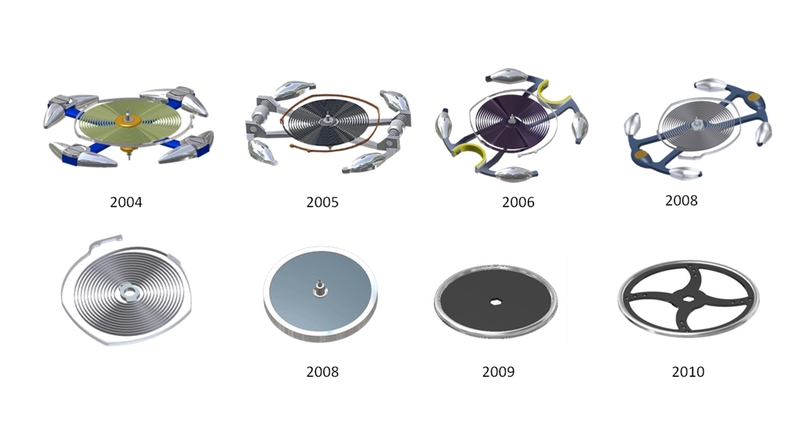 De Bethune’s new idea is to have an acoustic oscillator resonating thanks to pure mechanical power in order to regulate a wrist watch movement.